This was the last time I was in a funk and had a rule to work on 5 things a day, no matter what. 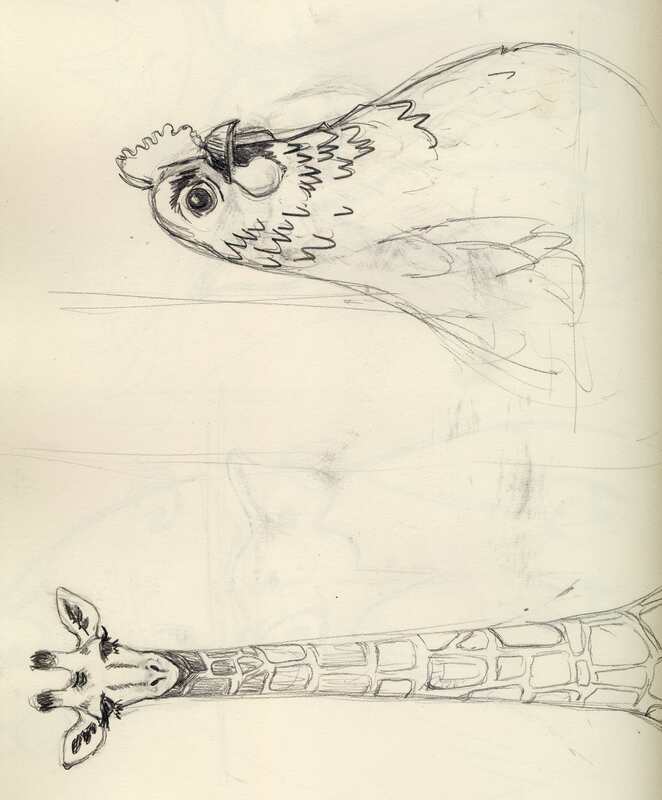 I ended up sketching freely from animal photography and coming up with some great images for linocut prints of animals. Hoping for inspiration again! Sometimes when I can’t come up with anything to make (or am uninspired to do so) for my online store, I make funny little rules for myself to help get out of the funk. Rules like, make 5 things a day no matter how small or, I have to make small things for 4 hours, do yoga, eat lunch and then work on longer term projects for 5. It’s worked for me in the past, and eventually I get out of the funk because it forces me to loosen up a bit, so I’m going to try it again. You can follow the progress in the MAKE section of the blog. I will update at the end of each day. Hopefully, by writing this, I will feel even more responsible to complete the mission. The rule for this round of creative funk: I have to make 2 things to sell a day and work on 3 others. Love the chicken, have you seen my chicken paintings on facebook? No, but I’m going to check right now!